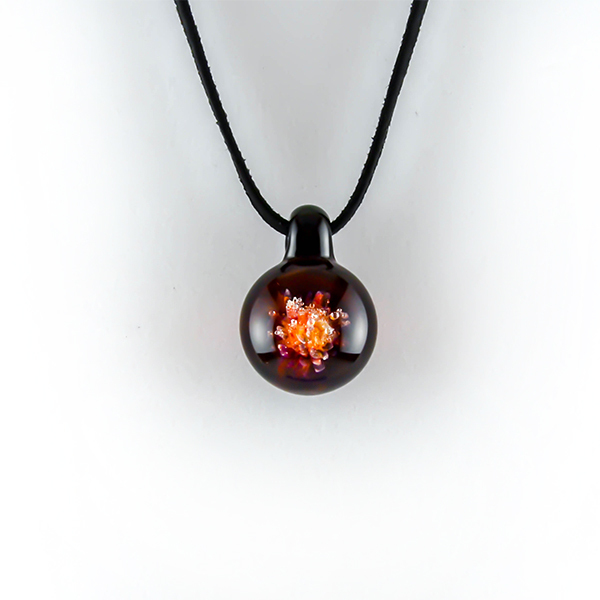 At MySacredAshes we create beautiful hand blown glass pendants infused with the cremains of your loved ones. When we lovingly blend their sacred ashes with the colors and glass you get beautiful designs and your loved one’s essence is captured into the glass pendants. So every time you wear your “MySacredAshes glass pendant” and you feel it close to your heart, you feel comfort from your grief and you feel that loving sacred connection that both of you share.